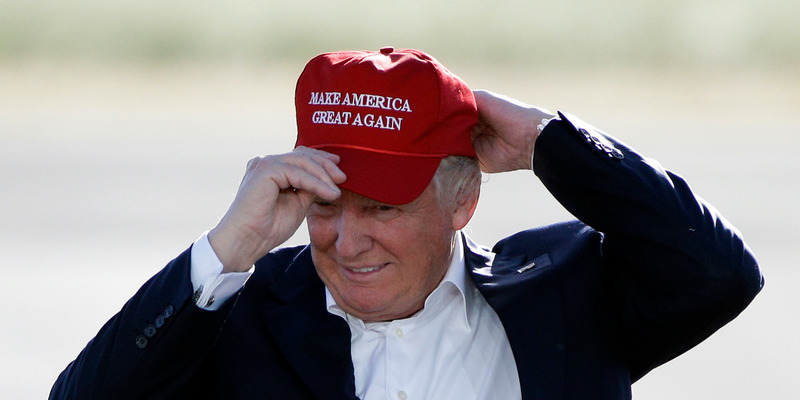 President Donald Trump’s „Make America Great Again“ campaign hat is the subject of some political controversy because of the ideology that helps inform Trump’s campaign and presidency, „The Five“ co-host Juan Williams said on Monday. That ideology largely centers around hardline immigration reform among other things, which Trump has repeatedly telegraphed as a solution for keeping immigrants out of the US. For some people, the „MAGA“ hat also signifies an ideology that marginalizes women and minority groups. Williams broke from his colleagues in a debate on the matter Monday. „I don’t understand that you guys don’t see that this hat is loaded with meaning for people, in terms of being associated with Donald Trump’s agenda,“ Williams said, adding that Trump’s musings about „grabbing women“ and „talking about Mexicans as rapists and thieves“ are tied to the image of the „MAGA“ hat. For some groups, the „MAGA“ hat also signifies an ideology that marginalizes women and minority groups. A conversation about Trump’s signature campaign hat began on „The Five“ as they discussed actor Daniel Radcliffe, who jokingly ribbed NFL star Tom Brady in an interview with Variety after he was spotted with the hat near his locker in 2015. An on-air debate ensued on Monday, and Williams broke from his Fox News colleagues on the issue. „I don’t understand that you guys don’t see that this hat is loaded with meaning for people, in terms of being associated with Donald Trump’s agenda,“ Williams said, adding that Trump’s musings about „grabbing women“ are tied to the image of the „MAGA“ hat. Asked if he believed people should befriend others who wear the hat, Williams responded by encouraging people to be „open-minded,“ while also imploring them to recognize what he described as the symbolism that the hat holds. Williams said Trump’s heated rhetoric toward undocumented immigrants is part of that symbolism. „For job growth,“ Fox News contributor Jedediah Bila interjected. „The racism and the misogyny,“ Williams said, again describing the symbolism around Trump’s campaign apparel. „I think a lot of people think ‚what are you doing with this hat,'“ Williams said, apparently referring to people who wear it.